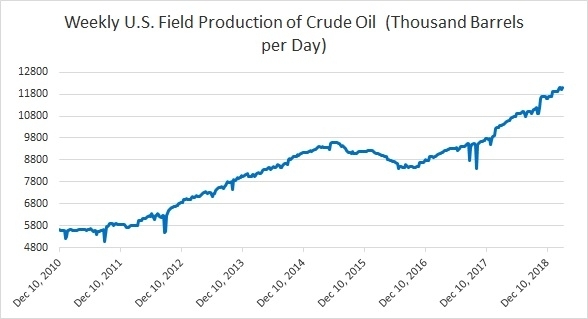 Chart 1 shows crude oil production in the United States recovered to record high of 12.1 million barrels per day. Chart 2 shows the level of U.S. distillate inventories. According to the latest report, the inventory declined last week to 132.2 million barrels. U.S. oil imports have been declining over the past couple of year. Last week, it declined to 6.93 million barrels per day, largely due to lower refinery demand. Chart 4 shows the level of U.S. crude oil exports, which rose to a new record high of 3.61 million barrels per day last month. Last week, it was 3.39 million barrels per day. Chart 5 shows U.S. refinery operating at 88.9 percent. Refinery intake has taken a sharp dive from 97 percent in January. Chart 6 shows the level of crude oil inventories, which has declined to around 112 million barrels since its peak in April 2017. Inventories declined last week to 439.5 million barrels.